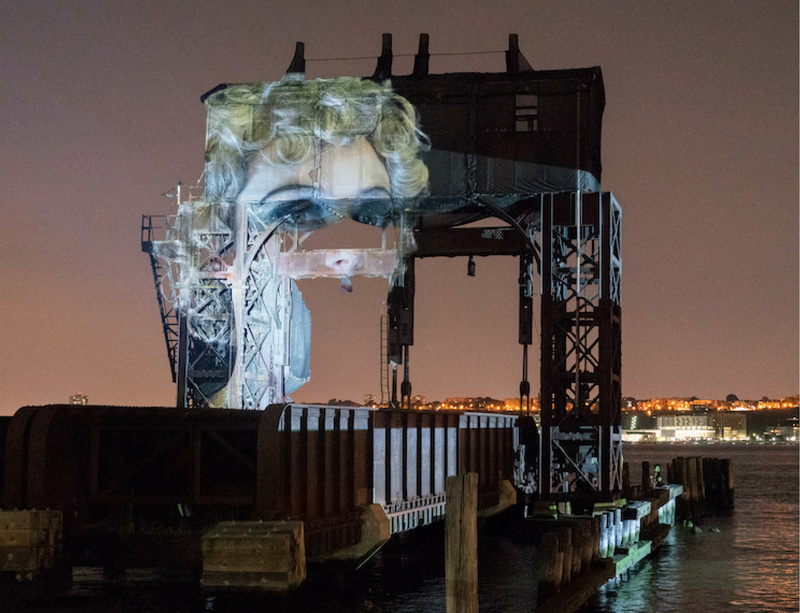 Public Art Fund presents Tear of the Cloud, a dynamic three-week-long exhibition by New York-based artist Tony Oursler at Riverside Park South. A pioneer of video art in the early 1980s, Oursler is one of the most innovative and experimental artists working today and this will be his most extensive installation yet. This orchestrated, immersive work will illuminate the park with a roving cast of characters and iconography, referencing the Hudson River School (the country’s first regional artistic movement which gave birth to the initial land preservation movement), social media bots, inventor Samuel Morse’s final painting, The Muse, The Headless Horseman, IBM’s chess-playing computer Deep Blue, Mary Rogers’ infamous murder at Sibyl’s Cave in New Jersey, the 19th century utopian society of Oneida, and experimental music developed in the South Bronx and Lower Manhattan, among others. The exhibition will create a lyrical exploratory experience for audiences as they move through the area, inviting them to make multiple readings between the past and the present. Tony Oursler: Tear of the Cloud will be on view October 10 – 31, Tuesday – Sunday, 7:00pm – 10:00pm in Riverside Park South (between 68th and 70th Streets) near Pier I on New York City’s Upper West Side.